We started our day with breakfast at our hotel before heading off on foot to explore the massive Castillo San Felipe in Cartagena. 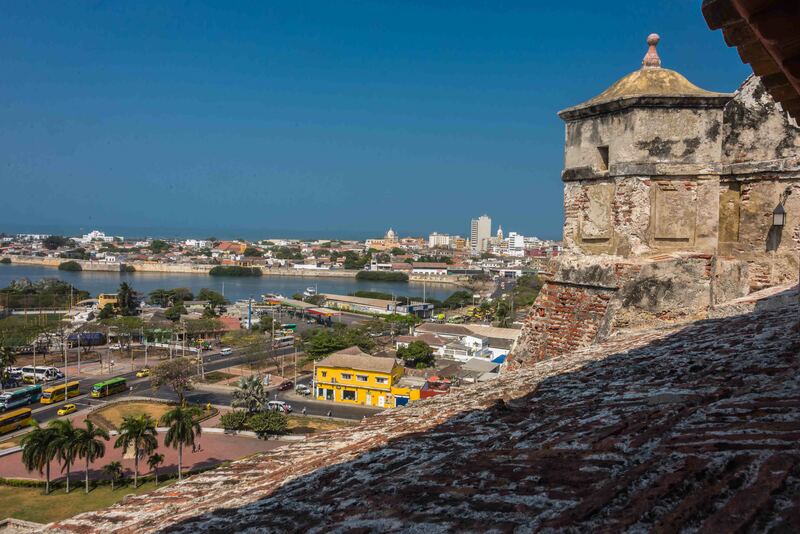 You can’t miss this crown jewel of the Cartagena defense network as it covers a 130-foot-high hill towering over the city. The castle (Castillo) is located .in a strategic location, dominating approaches to the city by land or sea. Originally built in the mid 1600s, it was rebuilt and enlarged several times over the years. The fortification consists of a series of walls, wide at the base and narrow toward the parapet, forming a formidable pattern of bunkers. The batteries and parapets protect one another, so making it practically impossible to take a battery without taking the whole defense system. The castle is striking for its grand entrance and its complex maze of tunnels. It is the most formidable defensive complex of Spanish military architecture anywhere in the world. English Admiral Edward “Old Grog” Vernon, fresh from a victory at another Spanish port at Portobello, Panama, literally ran into a stone wall at Cartagena in 1741 when he tried to invade the city. He showed up with a force of 23,000 men and 186 ships bristling with 2,000 cannons, but Castillo San Felipe — defended by just 3,000 Spanish troops and six ships — stood off a month-long siege of the city. The eye-popping view from the top of the fortress is a panorama of this city of a million or so people and the biggest flag I have ever seen. In one section you’ll spot modern high-rise condos, in another the domes and soaring crosses of historic churches, and in another rows of glassy office buildings. It was great to visit this place before the never-ending supply of busses started their daily tourist haul. In addition, without a cruise ship in port, there was ample room to walk the fortress undisturbed. We are travelling in style on this trip with Alicia, my model and an OR nurse! (Just in case) She is the one, natural in front of a camera, dressing up some of the photos here. A small hospital, at the upper levels, has recently been restored and turned into a small theatre where you can find a short movie about the history of the Castillo and a small gift shop is available at the very top of the structure. With an endless network of tunnels, it was truly impregnable and was never taken, despite many attempts to storm it. The complex tunnel system connected strategic points of the fortress to distribute provisions and to ease evacuation. 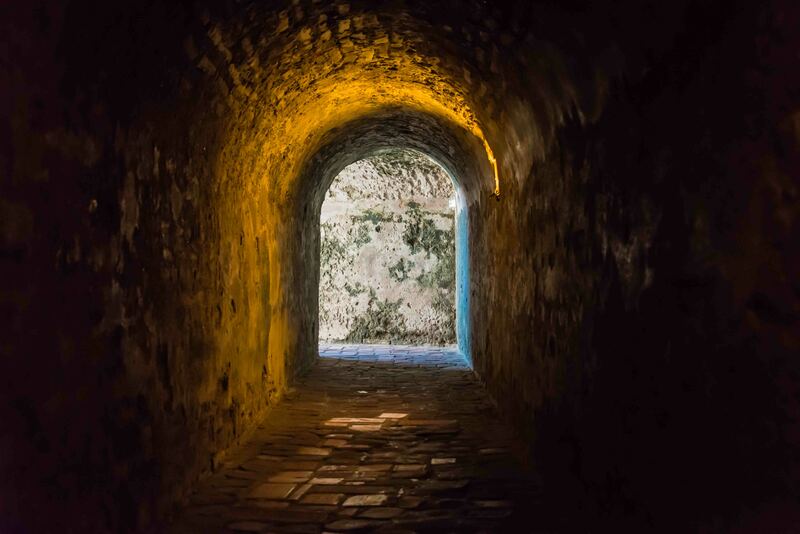 The tunnels were constructed in such a way that any noise reverberated all the way along them, making it possible to hear the slightest sound of the approaching enemy’s feet, and making it easy for internal communication. You can immediately see the beauty of this place. Some of the tunnels are lit and are open to the public providing an eerie walk and beautiful lighting, not to be missed. When you think of what history tells us went on in this place, it sends a chill up your spine. 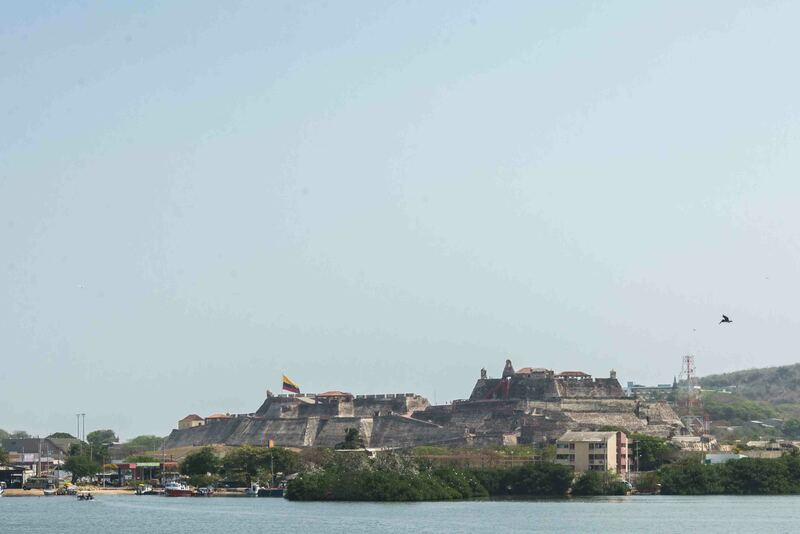 When you come to Cartagena, put this place at the very top of your list to see and allow a few hours to absorb it. New fav picture….Purple umbrella 🙂 Love it. 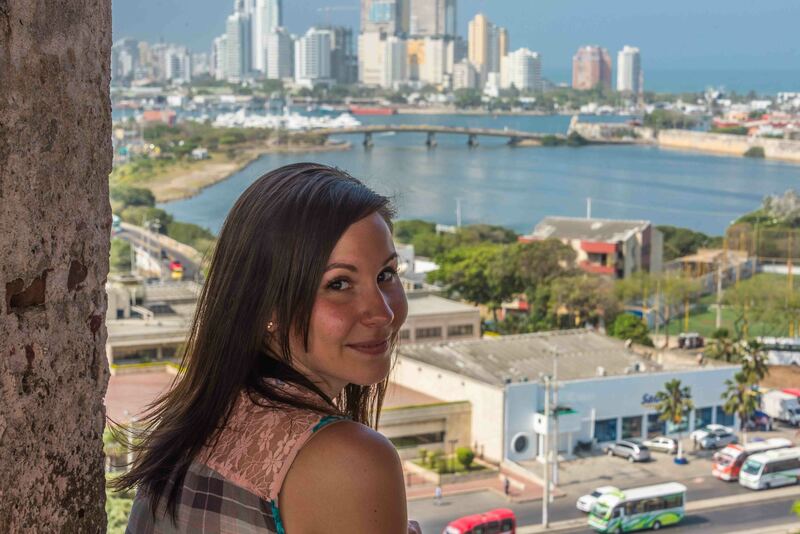 Cartagena looks like a pretty cool place to go. I bet Mike would love the history.